We are now ready to create the benefit that we will push to Payroll. 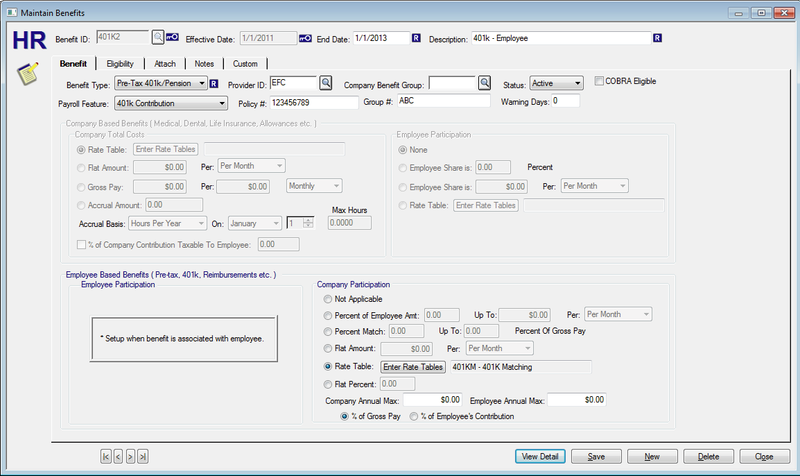 "401K" is already established in the DEMO company as a benefit. You can either modify the existing benefit or create a new 401K benefit with a new ID. We will create a new "401K2" benefit below.